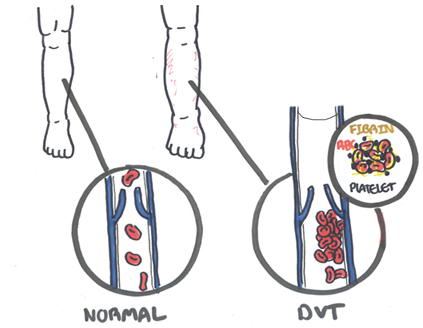 Overview Deep vein thrombosis (DVT) is the formation of a blood clot in a vein deep under the skin 25-50% of surgical patients and many non-surgical patients. 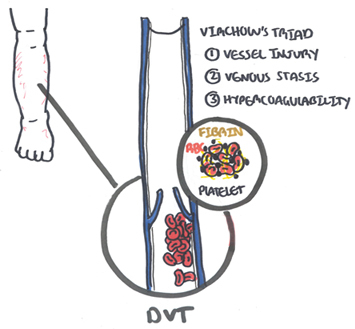 65% of DVT are below the knee are symptomatic and rarely embolism to the lung. 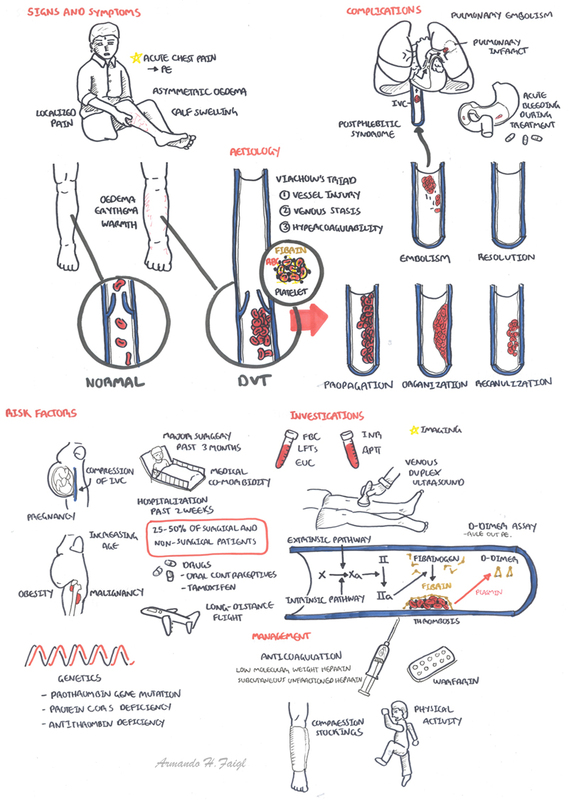 There are many causes of DVT. 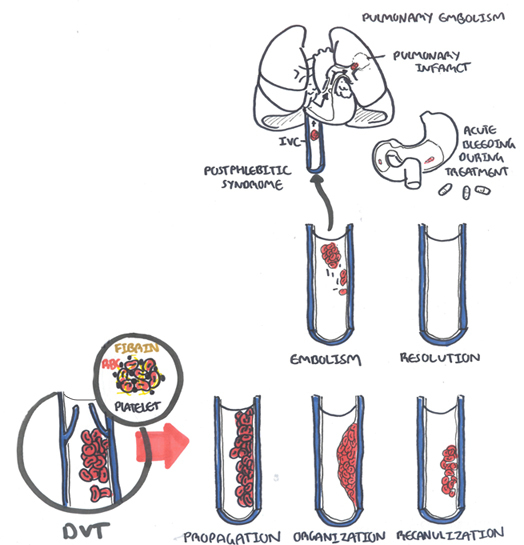 Pulmonary Embolism (PE): occurs most often from a disloged thrombus from teh lower limb (DVT). The embolyus travels towards the lung and becomes lodged in the pulmonary artery resulting in infarction of the lung tissue. 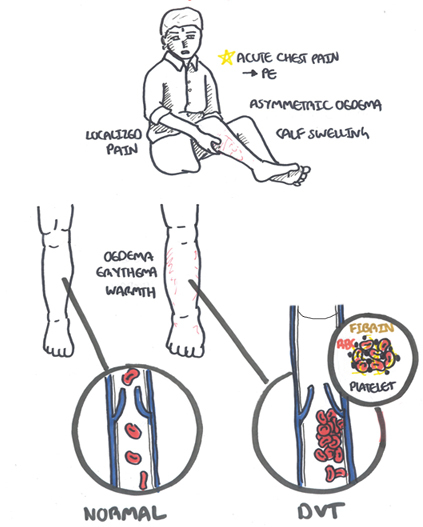 Venous Thromboembolism (VTE): Formation, development, or existence of a blood clot or thrombus within the venous system that has/potential to embolize. 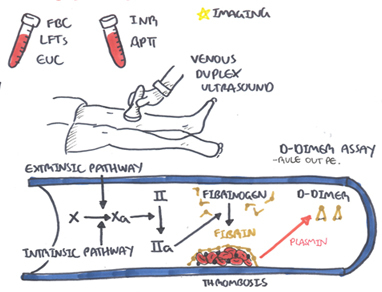 Clinical Presention DVT usually affects the veins in the legs, notably the calf. 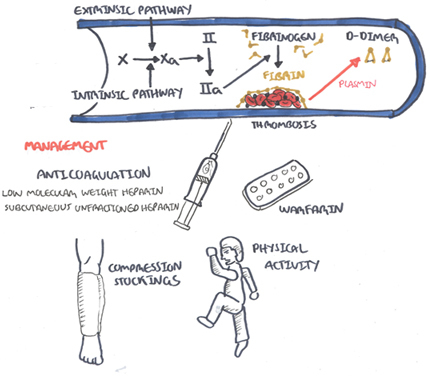 All comes down to Virchow’s Triad. Any change to Virchows triad increases the risk of VTE.